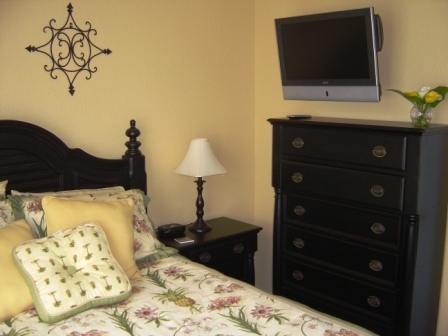 This beautiful room is off of the first floor foyer, and has its own attached full bathroom suite. 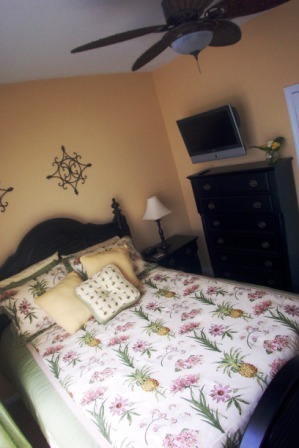 It has been furnished with an island theme type furniture set including a "west indies" style ceiling light / fan and high end furniture, bedding, and more! Serta premium pillowtop mattress, top of the line!